What is your most rare Cars item? 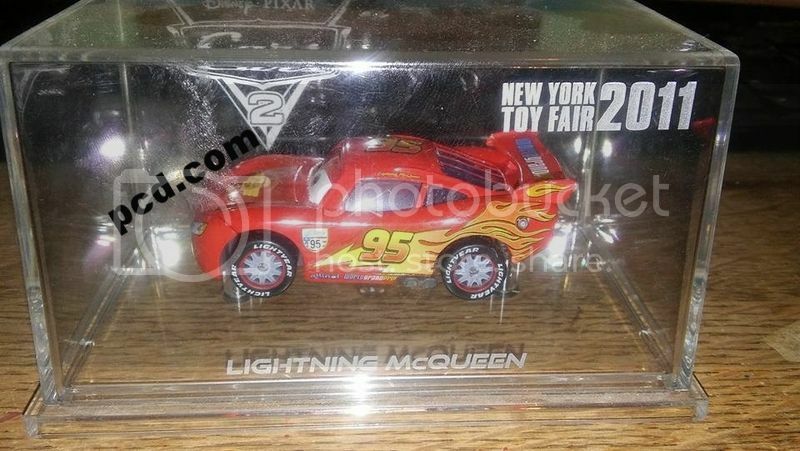 I never knew how this red ransburg metallic Lightning McQueen is released or custom made. When the V.3's were made they also made a rainbow of ransburg colors. Like the Bling Bling McQ and orange ones PeterMcQueen showed us. The gist is with the exception of 51 (the one plus the fifty "brainstorming" McQs) all are unauthorized factory made customs. My rarest Cars item is not necessarily a diecast Cars. 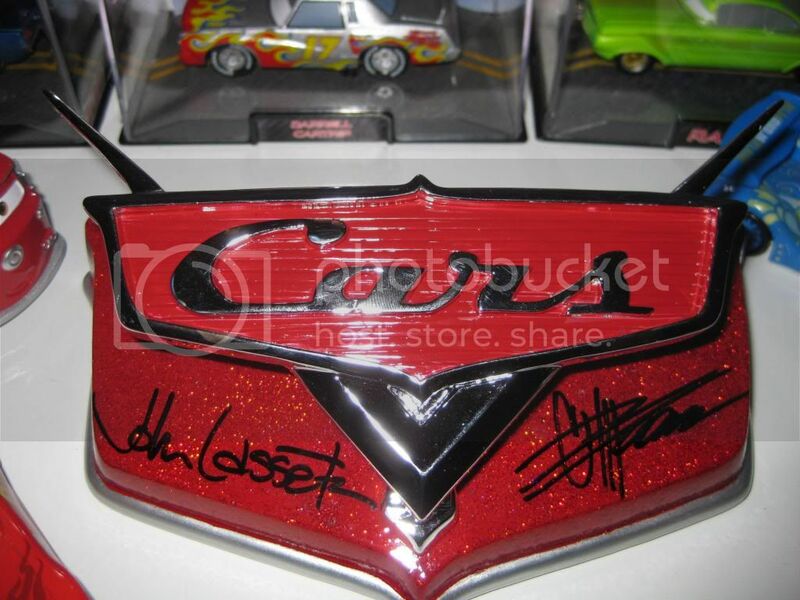 It's a Cars logo that was autographed by John Lasseter and Chip Foose. These were offered at a Cars Land event in the first few months after opening. I've seen four offered on eBay only in all. Most people at the event were going for the autographed green JL truck instead of the logo. This is the piece I love the most. The SOTS set is a close second (but was the most expensive to acquire), followed by the 2006 factory set. I also like the Cars logo sign that was offered with Disney rewards points and my Cars baseball cap from the World Premiere of Cars in 2006. I love wearing it. Mine would be: bubba and the three cousins. And customwise: GotFranks Fillmore's tent!!!! I have been watching that listing with Confetti Snot Rod. Congrats with that one. Seller still has some rare items for sale. My rarest car that is in my collection would have to be either Long Ge, Bud or Taco Truck Mater. My rarest cars character is Tyler gremlin. Mine is currently Terry Kargas and Herb Curbler. Not sure what my rarest is, but my favourite is race damaged mood springs. I also love the jada 1:18 scale Cruz D23 expo limited edition.